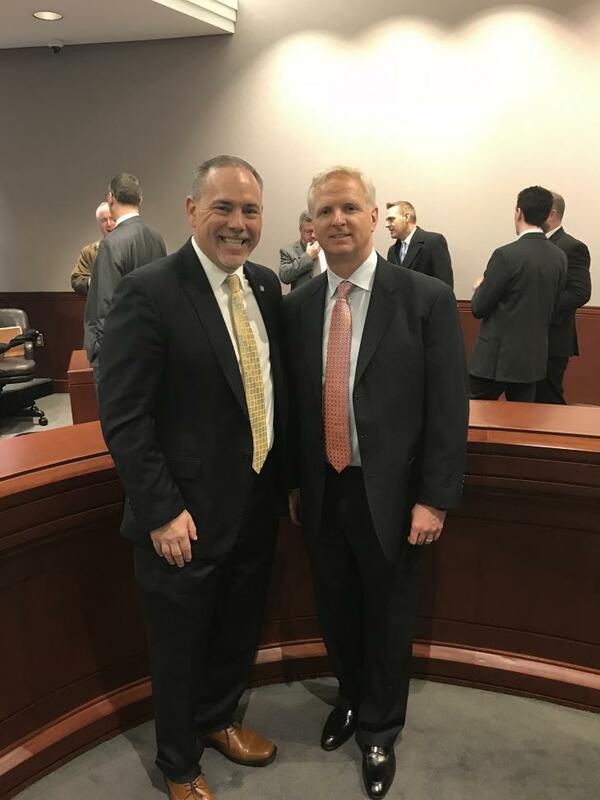 Jason Howey (right), President of Okay Industries and Speaker of the House Joe Aresimowicz (left) at the Bond Commission meeting at the Legislative Office Building in Hartford. Speaker of the House Joe Aresimowicz (D – Berlin/Southington) is pleased to announce that the State Bond Commission has approved a $2,500,000 loan to Okay Industries, which has facilities in Berlin and New Britain. This funding will provide a loan to Okay Industries, Inc. to assist with the expansion and upgrade of its manufacturing facilities in Berlin and New Britain. The company will retain 210 jobs and create 62 new jobs within three years. The company will be eligible for $1.25 million in loan forgiveness if it meets job creation goals. Okay Industries, Inc. engineers and manufactures components and subassemblies for OEMs in medical, automotive, defense/firearms, and industrial markets. The company is headquartered in New Britain. The items were approved by the Bond Commission on Friday, February 16th.